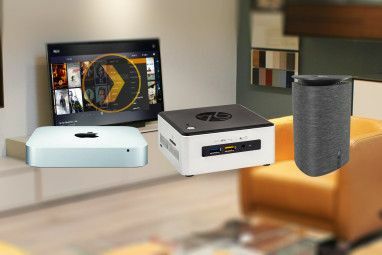 Plex is widely regarded by many as being the best media player, manager and streaming application around – available for both Windows, Mac and even mobiles (though the mobile apps are not free). If you’re looking for a single solution as both a media center and server, then read on – this *is* the Media Center app you’ve been looking for your whole life. If you read through and decide you’d rather check out some of the alternatives, have a look at Bakari’s round of streaming and converter apps for OsX 4 Awesome Free Digital Video Converter and Streaming Apps for Mac 4 Awesome Free Digital Video Converter and Streaming Apps for Mac Read More , Tim’s collection of linux-based media center distros 5 Great Linux Media Center Distributions To Transform Your TV 5 Great Linux Media Center Distributions To Transform Your TV Read More , or Justin’s list of TV-ready media centre apps 6 TV-Ready Media Center Programs You Should Check Out 6 TV-Ready Media Center Programs You Should Check Out If you're looking to set up a media center, you need to know what free software is out there. Choose the media center application that works best for you by comparing the best programs on... Read More last month. Is it a player? Is it server? Plex produces a media server and client app for Mac OsX, however there is only a server app for Windows currently available. To view your media on the Windows side of things, you can use a Plex plugin. Since Plex is essentially a fork of the XBMC app, there is very little difference in the client/player side of things. Both Mac and Windows Plex Media Servers can send data to the mobile clients (obviously, there is no media server for mobile devices). Download and install the appropriate version from PlexApp.com . 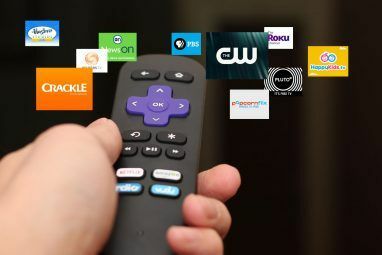 During the install, point the app at your directories for movies and TV. One thing that always annoyed me about media center systems in the past has been how utterly incapable they seem to be of identifying my eclectic collection and gathering the appropriate covers / metadata. The secret is to name the files correctly – this helpful page details the process, and though it may be tiresome, it does result in a beautifully unified media collection rather than a mess of folders. For those of you who can’t be bothered to read, name your movies “name of movie (date of release)” like “Steal This Movie (2010)”. I suggest you go through your collection and do a little renaming before you install Plex to give it the best chance of correct identification. If you have odd formats such as .img or .iso, then no worries – just name them and Plex will handle it all! To launch the media manager and see what it’s found, click the taskbar icon (or right click in windows) and select Media Manager. You can then choose between TV and Movies, as well as Music if you chose to import that. You may find a few odd matches – in that case you can easily right-click on the item in question, and select Fix Incorrect Match. this will bring up a list of possibilities. In general, I found that if the files were actually named correctly a match would generally be found – it was only when I had files that didn’t follow the guidelines that mismatches occured. The only complaint I do have is that the poster picture can’t be changed by dragging and dropping – it takes a bit of effort to navigate through the options for that – but then again you shouldn’t need to most times if it’s been correctly identified. When your data is sorted, go ahead and launch the main player app (from Applications or the Start menu, not the icon already running in your taskbar). Bear in mind that you can’t use the mouse, as it’s designed for full-screen – so stick to the keyboard or remote. Hit Apple-F to switch to fullscreen, and start browsing through the options. Plex Online is the place to find plugins – such as the BBC iPlayer (UK only) – that enable Plex to interface with hundreds more free online video sources. The app also makes a really good interface to YouTube and other social video sites. Just hit Search and type in your query – local media will appear first, as well as tons of internet videos that you can start streaming instantly. I actually found it easier than browsing the real YouTube site, since’s there’s absolutely no clutter and zero commentary from 14 year old idiots. Bonus! To view your movies on Windows, you will need to install XBMC, then the add-on for Plex. Tim has covered the ins and outs of XMBC before with a thorough review XBMC 10 "Dharma" - A Mature, Feature-Rich Cross-Platform Media Centre XBMC 10 "Dharma" - A Mature, Feature-Rich Cross-Platform Media Centre Read More , so I’ll only be showing you the actual connector add-on. To install it, make sure you use the XBMC interface rather than downloading and installing the zip file manually. Head to the System -> Add-Ons -> Video Add-Ons -> PleXBMC -> Install. If you have the server software running on a remote machine, you’ll also need to configure the IP of the remote server in the Configure option for the add-on. You should then be able to browse your Plex media server using the Add-Ons folder from the main Video menu, complete with covers and meta-data. I have to admit, having all my movies in one central place with all the metadata correct is incredibly satisfying. If you have a large collection you’d love to browse by DVD covers then I strongly suggest Plex. I’ve tried other solutions in the past, but none have handled my movies particular well, and I find the media manager of Plex to be the best overall. It’s a shame there isn’t a native client for Windows yet, but the add-on for XBMC means I can basically have the same fantastic player interface while we wait for the official client. Plex is going to form the center of my living room now, and I’ve even splashed out on the iPad app which let’s me stream any of my collection without format worries. If you’re having any troubles setting it all up, then feel free to ask away in the comments or Q&A section, and we’ll see if we can help. There is also a detailed Guide To Plex that you can download or read online. Oh and one last thing – Plex supports streaming over the internet too! Until Plex can serve to DLNA/uPnP compliant devices such as my WD TV Live and my PS3, I won't even consider using it. Plex's metadata capabilities are amazing - unfortunately, without DLNA/uPnP, Plex becomes ABSOLUTELY USELESS to me. I'm not there is a good way to serve to uPnP due to limitations of the protocol - certainly no DVD covers, for instance. If you're waiting for one that does that, you'll be stuck using filenames to identify movies I fear. There is also a Plex client available for AppleTV (black) users that want to jailbreak their ATV. It's a great way to get your Plex content to your TV. Isn't xbmc both a server and a client? And isn't plex based on xbmc? If so, why wouldn't running plex on an android be able to serve and stream to a an xbmc on a pc? Anyone try Twonky? Doubletwist? ProSyst MediaServer? TVersity? AndroMote? Because plex mobile apps dont serve. Plex is forked from xbmc, but definitely doesnt include that functionality. It does seem a little strange to be serving media from your android, though. Is that something you genuinely need, or more of an awesome hack kind of thing? Plex actually does offer streaming capability, but it's currently only to their Apps that support it. It uses HTTP video streaming instead of DLNA video streaming. There is an App for iOS and for Android at this time. You can also stream using Safari using a bookmark hack. And let's not forget about AirPlay. Just last night I was visiting a friend who has an AppleTV and was able to stream content from my home media library to my iPhone and then AirPlay it to his AppleTV. In conclusion, Plex is fantastic. I was dismayed to see that Plex can't serve video to UPnP/DLNA devices like my WDTV Live. Twonky, TVersity and Playon are more useful for me if I want to watch on my (non-LG) HDTV. Yes, that is certainly a limitation I forgot to mention. I was more impressed by the accurate metadata though, as generally I wouldn't run things straight through the tv (codex problems etc). Being able to watch from the xbox would be nice though. I've tried tversity in the past, but I'll check out the other two you mention too. 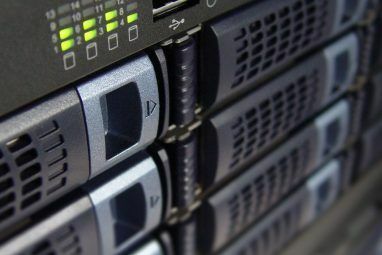 Twonky looks promising as it even mentions windows home server. Unfortunately it isnt free though, so it's not going to be featured here anytime soon.